President-elect Trump isn’t the only one thinking about splitting his time between two cities. When President Obama leaves the White House this January, his family is expected to become bi-coastal, with homes in both DC and California. 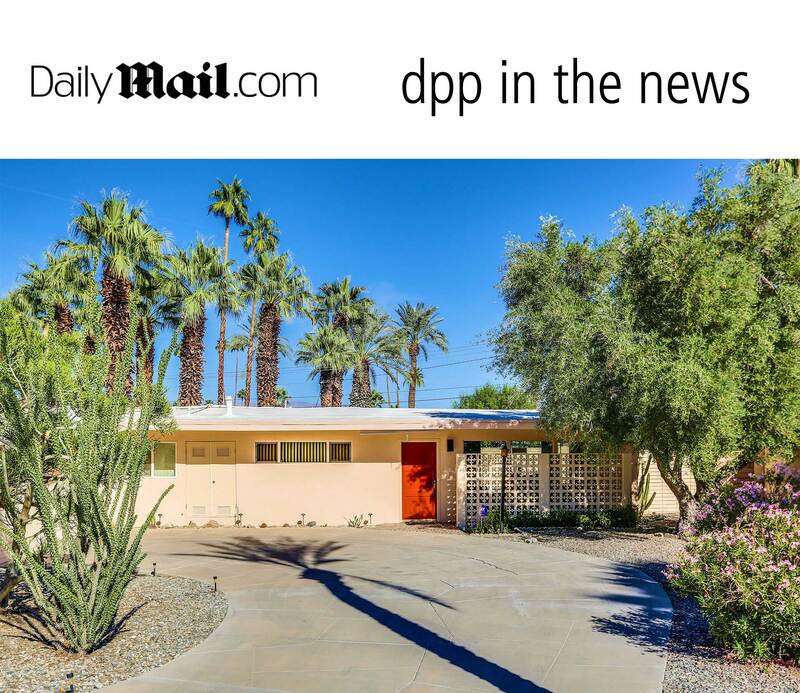 Sources told the New York Post that the Obamas have purchased a home in Rancho Mirage, California. The Obamas are also leasing a $4.3million home in the Kalorama neighborhood of DC, which will be their main home – at least for the next two years. The family is staying in DC so that their youngest daughter, 15-year-old Sasha, can finish high school at Sidwell Friends School. Sources say that the president’s new California home is in Rancho Mirage – a community known for its world-class golf courses. No details on the home have been released so far. The news comes two years after it was reported that the Obamas were in escrow to to buy a $4.25million home in the community, but the White House denied the reports at the time. Their new home is not far from Sunnylands, the former Annenberg estate, which has been used by presidents as an unofficial Camp David of the West Coast. The town is also where President Gerald Ford retired. Local newspaper the Desert Sun has been reporting about the Obamas’ potential move for more than a year. In September, the newspaper reported that Mrs Obama’s plane was spotted at the Palm Springs International Airport. At the time, it was unclear why the first lady was visiting the Coachella Valley. In addition to their homes in DC and California, the family is said to have also purchased a vacation home in Hawaii, the president’s home state. The Post reports that interior designer Michael S. Smith is set to decorate both properties. He helped the Obamas decorate the White House and also owns a home in Rancho Mirage that the family has visited. He is the partner of James Costos, current ambassador to Spain and Andorra. The 1928 home the Obama family is leasing in DC is 8,200-square-feet and features nine bedrooms and eight and a half baths. The Obamas are reportedly leasing the house from Joe Lockhart, who served as press secretary to Bill Clinton. The home features plenty for the Obama’s to brag about in D.C.’s hot real estate market. It has a gourmet kitchen featuring a six burner stove, according to an online database reviewed by Daily Mail Online. In case the Obamas have grown accustomed to having help around the house, there is a butler’s pantry. A dining room with wood flooring can serve as an entertainment space, or a place for ‘kitchen table’ discussions about the family budget, now that Obama will no longer draw a government salary. There’s an upstairs office where Obama would be free to work on his memoirs, having already written two successful books. There is a wet bar and a wine cellar. Although Obama will have to give up ‘the Beast,’ he will maintain Secret Service protection. The home features two parking spaces, which could be tight, but may suffice. The most appealing part of the home is its location, in one of the nation’s priciest zip codes, and just a few minutes from DC attractions. While the Obamas are looking at splitting their time between California and DC, President-elect Trump may continue to live at least part-time at Trump Tower in New York City. Reports over the weekend suggested that soon-to-be first lady Melania and her son Barron would likely remain in New York City, at least through the school year. Other rumors say that Trump could either commute daily to the White House from New York or fly home to Trump Tower for weekends – a potential move that critics are already calling a waste of taxpayer money.